Swami Vivekananda was a towering colossus- an epic hero of modern times. He upheld the glory and grandeur of India on the stage of the world and spread the eternal message of Hinduism. Rooted in the past, he was at the same time refreshingly modern in his thinking, and scientific in his outlook. This gives to his life and thoughts a unique halo of its own and an irresistible appeal to our modern minds. The book embodies facets of his glorious life and some of his electrifying thoughts and messages and also highlights his undying love for India and its people. To his countless devotees and admirers all over th world, he remains a source of perennial inspiration. 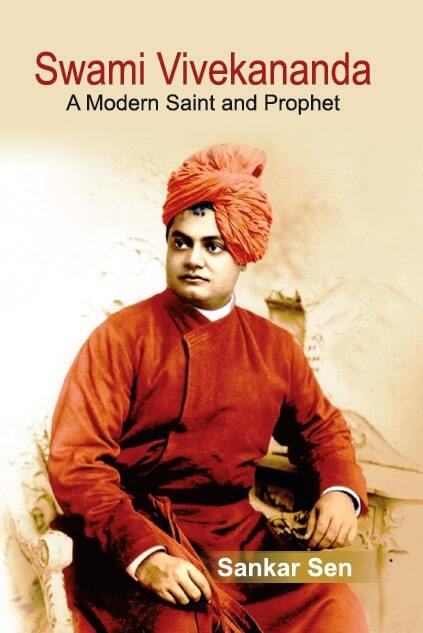 This book is the humble reverntial tribute of a devotee to his hero and Master. Sankar Sen presently, a Senior Fellow at the Institute of Social Sciences, is a distinguished member of the Indian Police Service, allotted to Orissa Cadre. Besides serving with distinction in the statep police, he went on deputation to the Government of India and served as the Additional Director General of the Border Security Force, Director of the SVP National Police Academy in Hyderabad, Director General of the National Human Rights Commission, Special Rapporteur-in-Charge of Custodial Justice Programmes in NHRC, among others. He was awarded the Police Medal for Meritorious Service and President's Police Medal for Distinguished Service. A large number of his articles on police reforms, law enforcement and human rights have appeared in magazines and national dailies in India and abroad. Some of his books include, National Human Rights Commission, National Security: An Overview etc.